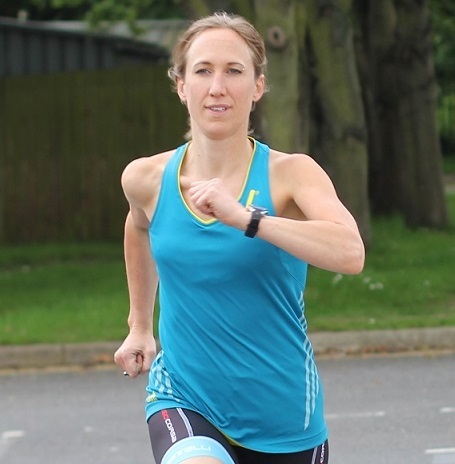 I’m a PT and Triathlon coach who’s passionate about exercise and fitness – helping others discover the benefits of regular exercise and then supporting them to keep it up and meet their goals, from losing weight or getting fitter to training for a race or competition. Contact me at FeelFitwithLucy@gmail.com for more details of my run training programmes, my Seven Steps to Weight Loss Success coaching programme and Personal Training. I haven’t always been into exercise, I used to go to work in ‘the real world’ and go to the gym sporadically. Until I did my first 10k race I’d never run more than 20 minutes. So I know what it’s like to think you ought to do more exercise, but for whatever reason (feeling too tired, too unfit, too much on at work, wanting to see friends instead, can’t find the right clothes, tomorrow would be a much better day to start….) not quite doing it. And I particularly understand the challenges that many women face – lack of confidence wearing gym clothes, feeling self-conscious about getting a red face, not wanting to look stupid if they can’t do the exercise, worrying about bulking up if they do weights, wanting to do weights but not feeling like they ‘belong’ in the weights room…. the list goes on. I also know how much better my life is with regular exercise. For me there’s two key sides to exercise. The obvious one is getting fit, and all the benefits that brings – from health benefits such as losing weight, the reduced risk of heart disease and stronger bones to feeling better about your body. But I believe the most important side is how it makes you feel – once I got over the initial shock and pain of running for longer than I thought I could, I found that I felt so much better – more awake, more energy, and so much happier and less stressed. Now I couldn’t imagine my life without exercise. And now I want to try to help others, especially women, to Feel Fit by helping to break down those barriers and excuses that get in the way. I am a PT working in a London gym, I coach triathlon with a local club as well as in junior and secondary schools, and I do online online coaching and programme development. In 2015 I coached myself to qualify for the World Triathlon championships for my age group (Olympic distance). If you’d like to find out more, either join my mailing list or contact me at FeelFitwithLucy@gmail.com. All views expressed on this blog are my own (obviously! ).